Contains one in a down-firing, sealed enclosure. 400 watt power handling. Wired for 2 ohm mono. Installs behind glove box and beneath dash. Built for those who demand serious sound, this Stealthbox® is engineered to deliver outstanding sub-bass performance on all your off-road adventures. Specifically designed for Can-Am Commander and Maverick vehicles, our Stealthbox® tucks behind the glove box, beneath the dash and generates powerful amounts of bass output, while staying out of your way. 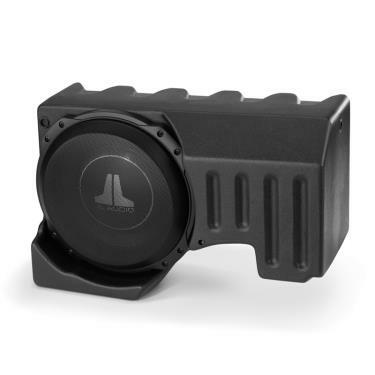 Constructed from 100% fiberglass with a rugged, weatherproof finish, this Stealthbox® houses a 10-inch, TW3 driver and includes all the mounting hardware needed for a secure, great sounding installation.